The Italian flag waves in front of The "Altare della Patria" also known as "Vittoriano" downtown Rome, Italy, March 23, 2016. ROME - Italy on Saturday raised its forecasts for economic growth this year and next and said it would cut the budget deficit by less than previously promised. 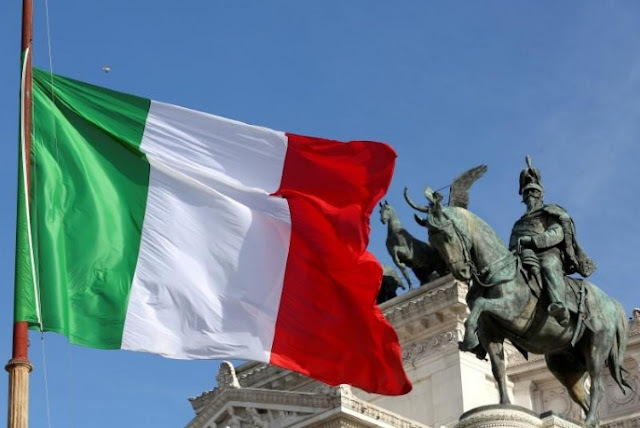 The brighter outlook may help the ruling Democratic Party ahead of national elections early next year if voters notice an improvement in living standards, though Italian growth continues to lag most of its euro zone partners. Gross domestic product (GDP) will rise by 1.5 percent in 2017, Economy Minister Pier Carlo Padoan said, raising its previous projection of 1.1 percent made in April to reflect better than expected data in the first two quarters and buoyant business sentiment. Next year, the economy will also grow by 1.5 percent, Padoan said after a cabinet meeting approved the Treasury’s Economic and Financial Document (DEF), up from the previous forecast of 1.0 percent. The deficit to GDP target for 2018 was raised to 1.6 percent from 1.2 percent previously, Padoan said. Italy on Saturday raised its forecasts for economic growth this year and next and said it would cut the budget deficit by less than previously promised.